The latest two ABNRML prints are pretty special. It is the first time we have created a set of posters for different legs of a tour, as well as the first time we have two prints that connect together into a larger poster. 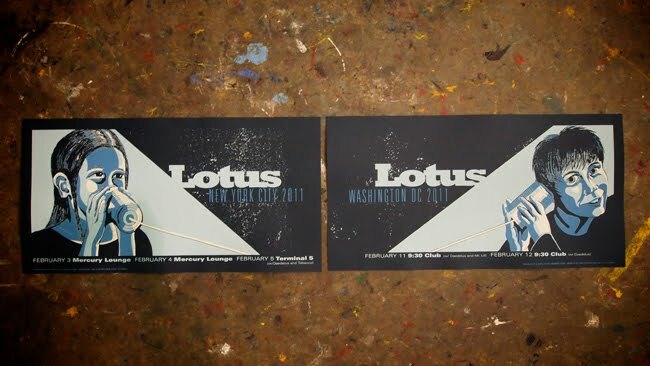 These two prints are for the Lotus shows in both NY and DC and are printed and produced by ABNRML.com. We commissioned the help of Philadelphia artist and ABNRML cohort Joe Castro. 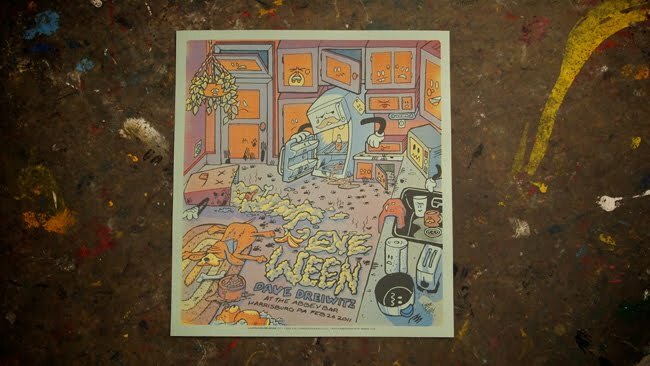 Each print is screened on heavy 12.5X25 midnight blue French Paper cover stock. They are both very detailed 3-color prints and together they span 50 inches on a wall! The two prints were for the following shows and were available at the band's merch stand. A very small handful are available now here.